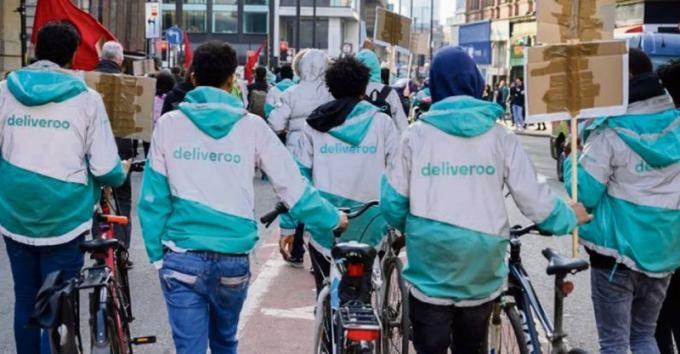 Kicking off this wave of rolling strikes and other actions for better pay from Deliveroo, on 5 April Nottingham Riders’ Network-IWGB held a distribution event of food and other supplies for homeless people. Getting food donations from various restaurants, and working with a local homelessness charity, they distributed them to rough sleepers they could find around the city. 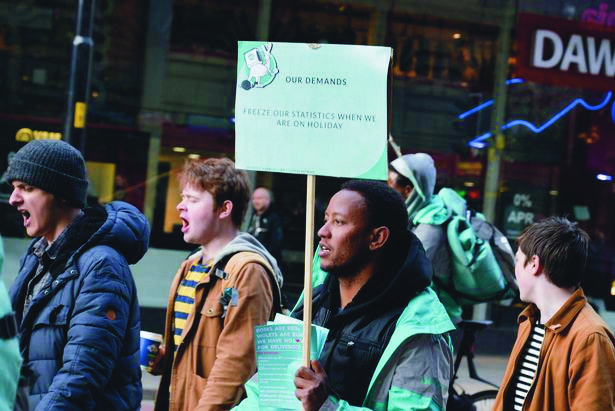 As well as directly providing some relief to homeless people, this raised the profile both of the problem of homelessness – which has risen sharply in recent years – and of NRN-IWGB and their struggles. On Saturday 23 February, while working as a Deliveroo meal courier, I came across the scene of an appalling crash between one of my colleagues and a car, a few minutes after it had happened. 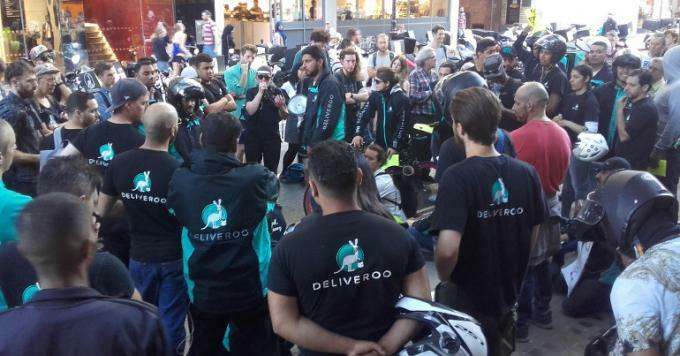 The Deliveroo courier′s motorbike looked pretty smashed up, and the rider was lying at least five metres further down the road, possibly with broken legs and a head injury. There were many people helping, and the ambulance arrived soon, so I didn′t stick around long and don′t know the eventual outcome. I think everyone probably lived. 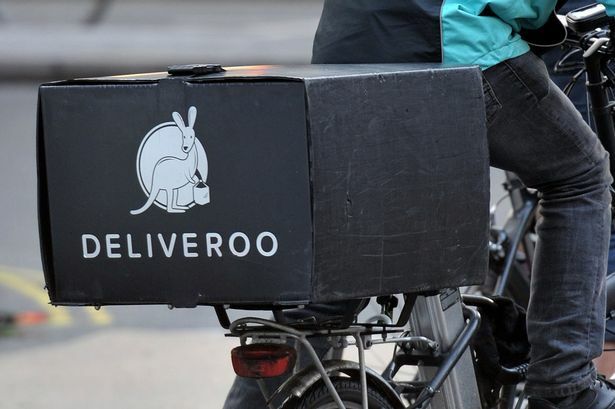 Deliveroo couriers are due to strike again on 14 February, for demands including a minimum payment of £5 per drop, paid waiting times of £10/hour, and more. 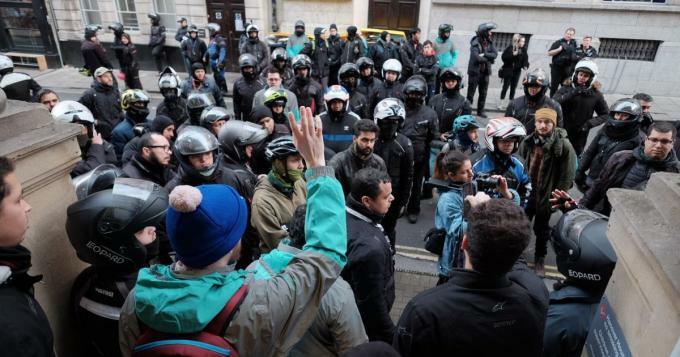 An activist involved in the Couriers and Logistics branch of the Independent Workers’ Union of Great Britain (IWGB) spoke to Solidarity about the strike. 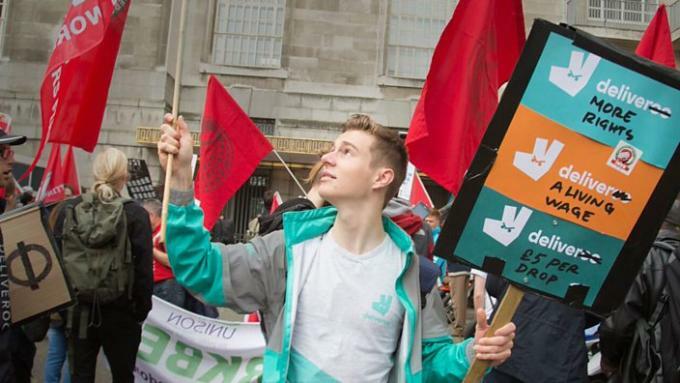 Deliveroo couriers in a number of cities are planning further strikes on 14 February. Bristol is the flagship city for the strike, where couriers are best organised, and have lots of action planned that’ll be revealed on the strike day itself. 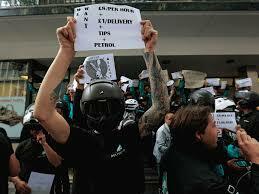 Read more about Deliveroo: next strikes 14 February?